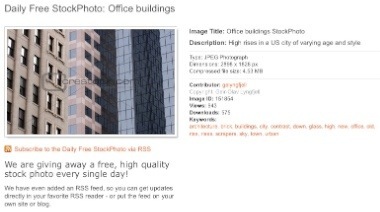 Crestock.com Creative Stock Images offers a Daily Free Stock Image. Every day they give away a new high-res stock image or vector image completely free. 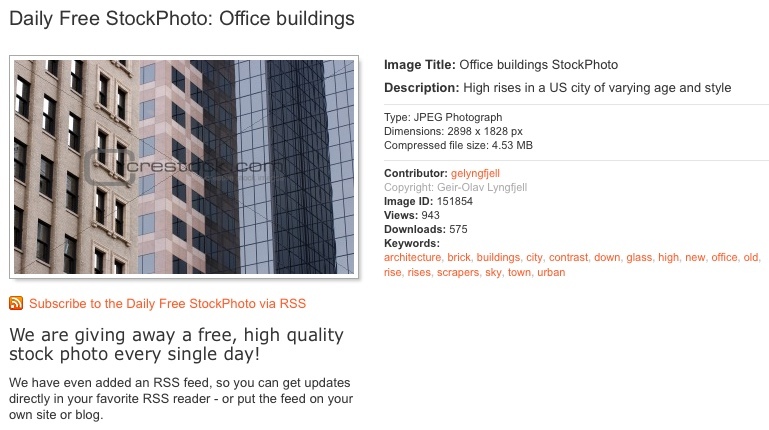 They make it completely simple with an RSS feed, so you can have a link to each day's free image appear in your in box. 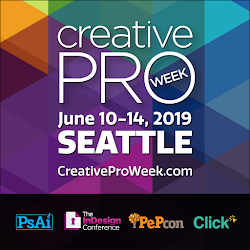 Crestock is running a special deal for the month of March: a 6 month, 10 image/day subscription for $499, or a 12 month, 10 image/day subscription for $699. 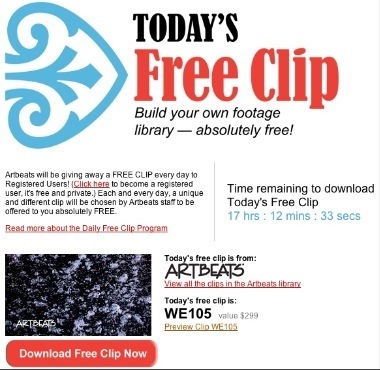 Artbeats Royalty-Free Stock Footage offers a free high-quality video clip each day on their Web site for registered users. The clip is available in HD, NTSC and PAL formats. A great way to build a selection of clips for use in Flash animations, Powerpoint presentations or video projects. * Full disclosure: I'm an affiliate of Crestock. This means that if you visit Crestock from here, and eventually buy something, I might make a few bucks.